Sparse choice of ales: Cornish Best and Tribute. Beware eating the cottage pie (it nearly blew my head off) it is made with Lea & Perrins Worcestershire Sauce!!! Dropped in out of the rain at lunch time. It was almost empty which was a surprise. The beer ( St Austell Cornish) was excellently kept and served. Friendly atmosphere and good food. 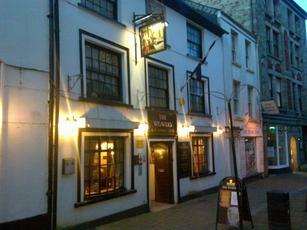 Friendly back street local.Trelawney, Tribute and the slightly misleadingly named Dartmoor (Why not Bodmin Moor?) on hand pull. Had the Dartmoor as was driving. Very nice too. Good value food as well.